When You Just Need to Know…. Our senior screening program consists of a comprehensive Clinical assessment (including, but not limited to review of personal medical history, physical abilities, vision, visual perception, reaction time and a cognitive assessment). Treatment and intervention (including, but not limited to adaptive driving instruction or driver retraining, with or without vehicle modifications). Lynn Hedrick is director of this program. She is also an active member of the Association for Driver Specialists. In Arizona, she lectures frequently to medical groups and was a speaker at the National Conference on Aging & Mobility in Phoenix, Arizona. 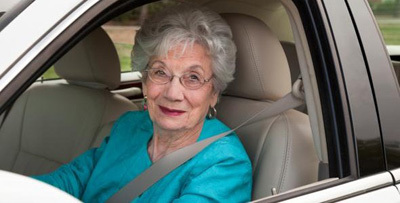 She served on the Maricopa Associate of Governments Elder Mobility Stakeholder Group which addressed the current and future need of seniors and Driving. She was a contributor to Getting Around, a local Area Agency on Aging transportation and mobility guide. She was also a guest speaker at the Arizona Governor’s Committee on Aging. She has participated in many news clips about aging and driving. Please call (602) 840-2323 for more information and to schedule an appointment! Click on our Disabilities page for more information.